I created a form on my test server under my account. I'd like to now transfer that exact from to my client under his account. How would I go about doing this? please provide us the name of the form and the destination username account, and we will transfer the form. 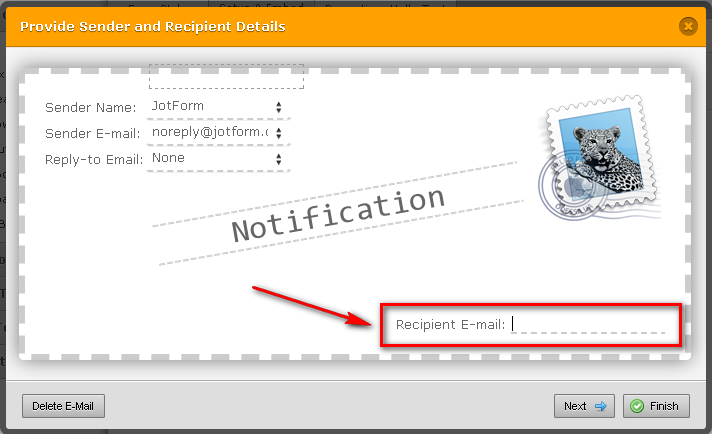 the form "Contact Us" has been transfered to GFA user account as requested. Thank you. I'm trying to figure out how to change the email on it (for when there is a submission). 1. Click "Setup & Embed"
5. 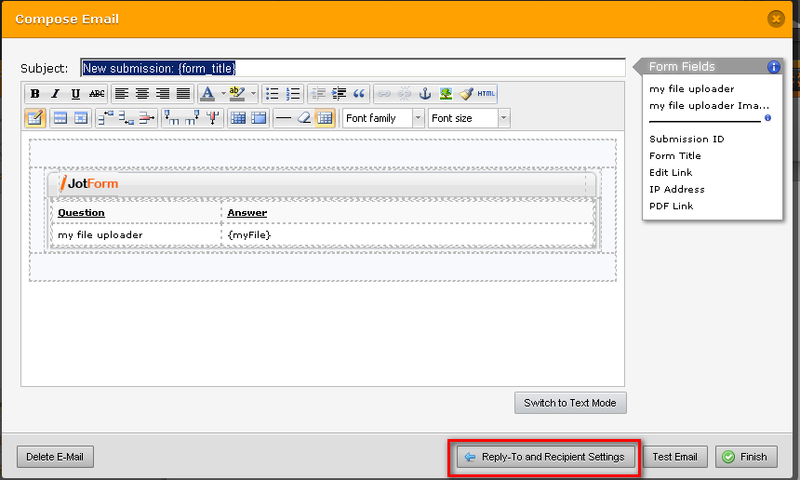 Change your email address on the "Recipient E-mail"